Organist and bandleader Jean-Louis Benoît aka Lou Bennett, born on May 18, 1926 in Philadelphia, started his musical profession as a bop pianist in Baltimore in 1947. By 1956, under the influence of Wild Bill Davis and Jimmy Smith, he had begun to play organ instead. Lou toured the East and Midwest with his bop organ trio from 1957 to 1959, becoming a solid player in the late '50s. The following year he moved to Paris, where he played at the 'Blue Note' with JIMMY GOURLEY and KENNY CLARKE - he got successful immediately. 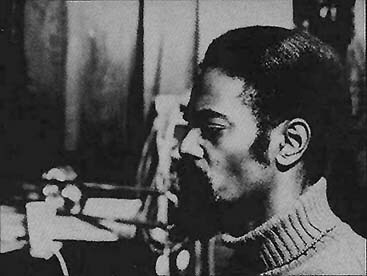 Clarke and RENÉ THOMAS were among his regular sidemen during the 1960s. Bennett made recordings as a leader, like 'Amen' (1960) 'Enfin' (1963), Pentacostal Feeling (1966), Lou Bennett Plays For Clem (1971), Live At Club Saint-Germain (1978), Blue Lou´s Blues (1984), and with DANY DORIZ and NÚRIA FELIU. As a sideman Lou recorded and / or performed with JACK SELS, KING CURTIS, HERB GELLER, J. J. JOHNSON, MEMPHIS SLIM, EDDIE “LOCKJAW” DAVIS, DONALD BYRD, LEO WRIGHT, TETE MONTOLIU and IDRIS MUHAMMAD. He also played with guitarist PHILIP CATHERINE, bassist JEAN-MARIE INGRAND, and drummers BILLY BROOKS and OLIVER JACKSON. 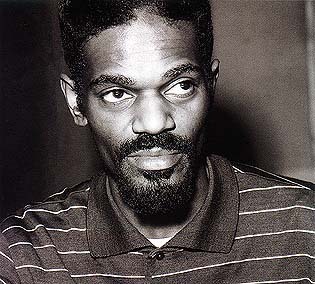 Since then Bennett has toured and performed at many European Jazz festivals and in films, but has made only one appearance in the USA - at the Newport Jazz Festival in 1964. Throughout his career Lou led his own groups: trios (with guitarist ANDRÉ CONDOUANT and BILLY BROOKS or JOE NAY on drums), a quintet during the 1980´s (among the members was GERARD BADINI), and a quartet by the end of the decade (with ABDU SALIM, XIMO TÉBAR, B. BROOKS). He worked extensively in Spain, performing at clubs and festivals, and composed several soundtracks for films (like the one on Salvador Dali). Lou also appeared as an actor in three of the movies. His last album 'Now Hear My Meaning' (Mas I Mas) was recorded in 1992. With an international recognition for more than 30 years of career, Lou Bennett is considered as a true 'teacher' and one of the big organists of the Jazz world by the specialized critic, musicians and fans. Lou passed away February 10, 1997 in a hospital outside of Paris. 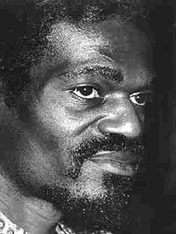 Lou Bennett, Jean-Louis Benoît was his real name, given by his father, who came from Martinique/French West Indies, was born on May 18, 1926 in Philadelphia/Pennsylvania, where his mother lived. Since birth abandoned from his father, Lou learned how to play piano from his mother, but he was actually raised by his grandparents. His grandfather was a Baptist pastor, his grandmother taught him to accompany the hymns of the church on piano or harmonium. Lou´s first exposure to the organ came in his grandfather's church in Maryland where he learned to play gospel music. It was in the parish choir of this church where Lou's fascination with the organ's foot pedals began. Until he was 12 years old, he had the function of a repetitor for the children´s choral singing of the rectory. He continued to play piano through his teens and while living in Baltimore, learned the shoe repair trade and played as an amateur pianist in Baltimore. During his military service in Georgia and Alabama (1943-1946) he played tuba in the army brass band; it is undoubtedly that by playing this instrument, he took a fancy to low, opulent tones, further developing his appreciation for bass work, which lead him to play Hammond organ. After military service he returned to shoe repairing in Baltimore but at the same time formed a jazz trio, fashioned after Nat King Cole's popular group (shoemaker during the day, musician at night, sometimes sleeping in his car for a few hours, while waiting for the store to be opened by its owner). This trendy move was interrupted, however, when Lou heard what Bill Davis was doing with the Hammond organ - it was during this time that Lou became interested in electronics, and after hearing Davis he bought an organ. 1949 was to become an influential year for numerous pianists, some of which would surface in the organ revolution that followed Bill Davis' era. These younger lions included Jimmy Smith, Johnny "Hammond" Smith and Lou Bennett. It was now time for this shoe repairman to use his own shoes on the foot pedals of his newly acquired Hammond organ and hone his bass work striving for virtuosity and in 1951 he turned professional. Lou gained notification in Baltimore and, because of his success, he decided to go to New York in 1955, where he met artists agents, who made him tour all over the US, except for the West coast. 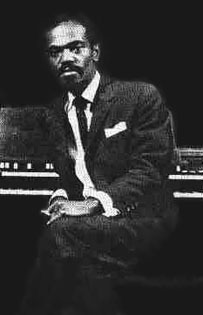 By 1956 the virtuostic approach of the early Jimmy Smith influenced him, setting out on his professional career as a Jazz organist on the heels of Smith. Lou was in the center of all the organ action with his own bop trio by 1957. He had a list of appearances which included the more important clubs of New York (notably Minton´s and Small´s Paradise) and hot spots throughout the East coast and Midwest, touring until 1959. He was also distinguishing himself with his increasingly proficient footwork. In 1959, Lou's good friend, Babs Gonzales, introduced him to a man named Daniel Filipacchi, chief editor of Europe 1 (one of France's big radio stations), they met in New York. 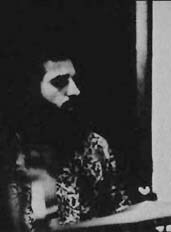 Filipacchi invited him to come to France, to make the organ known to the French Jazz lovers, and booked Lou in the 'Blue Note' club in Paris the following year. So Lou Bennett unloaded his Hammond B3 in Le Havre in 1960. Originally engaged for 8 weeks to replace Bud Powell, who went on holidays, Lou played there for three months. These gigs were to become probably the most important move in his career: he gets successful immediately. The success of this first engagement in France made an indelible impression on Lou. Playing with French guitarist JIMMY GOURLEY and fellow expatriate, drummer KENNY CLARKE proved to be a winning combination and soon a recording date was set in July for the trio, which was accompanied by JEAN-MARIE INGRAND on bass. 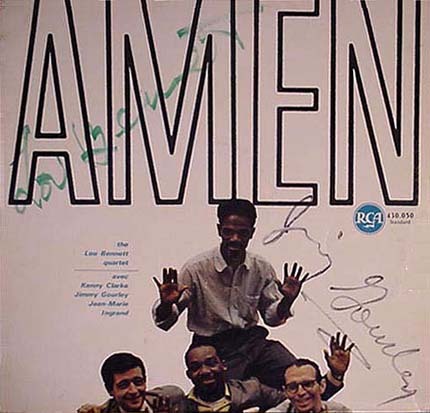 The album 'Amen', released by RCA, was an appreciable commercial success from the start. 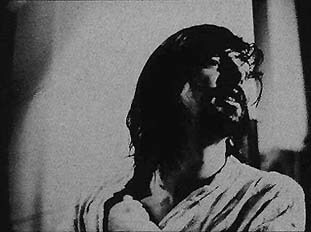 Lou's infamous title-track: 'Amen' became the theme song for a famous French radio program called 'Salut les Copains'. The record also did extremely well in the United States, a place where Lou would only occasionally visit from this point on. Bennett returned home but shortly afterwards came back to the 'Blue Note'. In October 1960 his second album 'Danse Et Rêvez Avec Le Trio Lou Bennett' was released by RCA, again recorded with JIMMY GOURLEY and KENNY CLARKE. 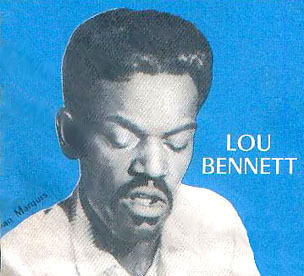 Lou founded THE LOU BENNETT QUARTET, playing at the Blue Note with JIMMY GOURLEY and KENNY CLARKE, who will become one of his regulars alongside RENÉ THOMAS, the Belgian guitar player. It´s also at the Blue Note, where he became acquainted with Sonia, they get married in 1962. On the day of their marriage, suddenly the owner of the ‘Jamboree’ Jazz club in Barcelona appeared to offer Lou a contract; he played there during the summer season and returned regularly to the club, accompanied by guitarists RENÉ THOMAS, PHILIP CATHERINE, ANDRÉ CONDOUANT, and drummers KENNY CLARKE or BILLY BROOKS. It is at this time that Lou will decide to settle definitively in Europe. 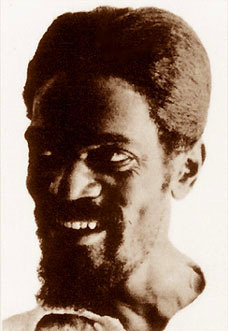 Since then, Bennett has performed in films and at many European Jazz festivals, but has made only one return visit to America, appearing at the at the Newport Jazz Festival in 1964. From Spain he each time faithfully returned to the 'Blue Note' as well until it closed for good in 1968. In September 1961 Lou played on JACK SELS album 'Jack Sel(l)s Jazz' (Delahay) with guitarist PHILIP CATHERINE and drummer OLIVER JACKSON - tenorist Jack Sels also composed and arranged the album. A concert at the 'Blue Note' was filmed in 1962 in Paris, entitled 'Jazz Au Blue Note' (and later released on video). Lou performed with: HERB GELLER on alto, JIMMY GOURLEY on guitar, singer SIMONE CHEVALIER, and KENNY CLARKE on drums. On January 3, 1963 producer/writer Joachim Ernst Berendt organized a concert in Koblenz/Germany featuring some of the top American jazzmen who were residing in Europe then. 'Americans In Europe' was released by Impulse and later by the Jasmine label (originally released as 13 songs on two LP´s). The performers were: KENNY CLARKE, LOU BENNETT, JIMMY GOURLEY, IDREES SULIEMAN, BUD POWELL, JIMMY WOODE, JOE HARRIS, BILL SMITH, HERB GELLER, JIMMY GOURLEY, BOB CARTER, BUD POWELL, NELSON WILLIAMS, PEANUT HOLLAND, ALBERT NICHOLAS, EARLE HOWARD, KANSAS FIELDS, ALBERT NICHOLAS, CHAMPION JACK DUPREE, BOB CARTER, DON BYAS and CURTIS JONES. In March 1963 Lou recorded 'Enfin!' (RCA) in Paris, with ARNETT COLEMAN, J. J. JOHNSON (tb), RENÉ THOMAS (g), VALTO LAITINEN, GILLES ROVÈRE (b) and CHARLES BELLONZI (dr). 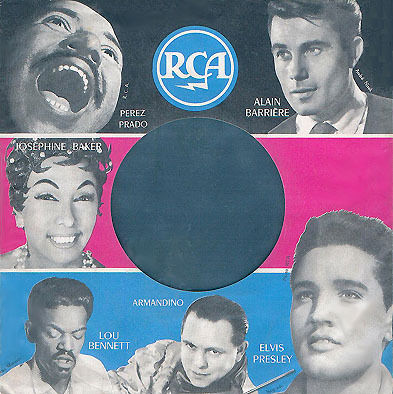 The album also was released as 'Lou Bennett Et Son Orchestre' by RCA/Victor. Lou Bennett played on RENÉ THOMAS´ album 'Meeting Mr. Thomas' (Barclay) on March 23 and April 20, 1963 in Paris. Other performers were: JACQUES PELZER (fl, ts, as), GILBERT ROVÈRE and BENOIT QUERSIN on bass and CHARLES BELLONZI on drums. The album was reissued by Blue Star, Fresh Sound (1987), and Emarcy / Universal Jazz. Probably also in 1963 'Echoes Of Harlem', a 7 inch was recorded with KENNY CLARKE (dr), CHARLES "BIG" JONES, MEMPHIS SLIM, LES DEAN SISTERS (voc), issued by BEL AIR. The same year Lou Bennett not only composed a soundtrack for the French André Caillatte movie 'Le Glaive Et La Balance' (The Sword And The Balance; aka 'Two Are Guilty'), he also appeared as an actor. The EP was issued in 1963 by Pathé (The Lou Bennett & Kenny Clarke Jazz Combo). In early 1964, he recorded another soundtrack 'Echoes And Rhythms Of My Church' (Bel Air) in Paris, (later re-issued by Marfer and Barclay), with: RENÉ THOMAS (g), ART SIMMONS (p), MEMPHIS SLIM, THE DEAN SISTERS, VIN MORRIS, CHARLES "BIG" JONES (voc), GILBERT ROVÈRE (b) and KENNY CLARKE (dr), arranged by DEAN COOPER. 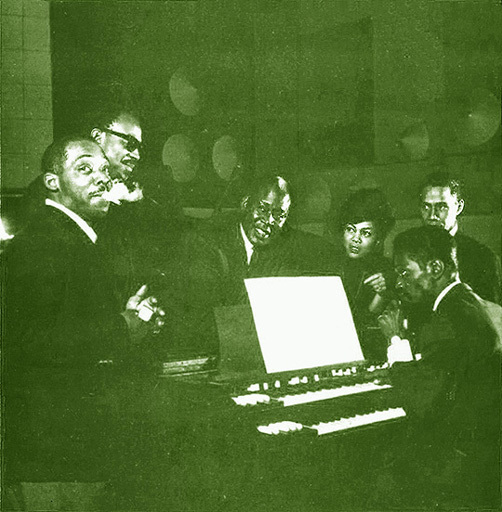 Charles "Big" Jones, Memphis Slim, Dean Cooper, Vin Morris and Lou Bennett. Together with RENÉ THOMAS and KENNY CLARKE Lou performed at Salle Gaveau in Paris on November 6, 1964, the show was broadcasted by ORTF radio or TV. Broadcast and host name was Andre Francis. In January and March of 1966, Lou Bennett recorded 'Pentacostal Feeling' in Paris with RENÉ THOMAS (g), KENNY CLARKE (dr), THE PARIS ALL JAZZ STARS and DONALD BYRD on trumpet, originally released by FONTANA (PHILIPS in France) and re-issued by EMARCY/UNIVERSAL CLASSICS/GITANES. The Lou Bennett Trio (with PHILIP CATHERINE) performed at the Prague Jazz Festival in 1966, the Czech Supraphon label issued some of the tracks on the compilation 'Ozveny Jazzoveho Festivalu'. Also in 1966 Lou recorded with Spanish singer Núria Feliu 'I Els Seus Amics' (Edigsa) in Barcelona, TETE MONTOLIU arranged some of the tracks. In 1967 THE LOU BENNETT TRIO played at "Le Chat Qui Pêche in Paris featuring: ANDRÉ CONDOUANT (g) and JOE NAY (dr), the bootleg recording of that concert, entitled 'Body And Soul - The Johnny Griffin Quartet', released in 1990 on the Moon label, was falsly ascribed to tenorist JOHNNY GRIFFIN, who coincidentally was in the club and joined the group on stage. During 1967-68 the trio (Lou with André and JOE NAY / BILLY BROOKS on drums) played concerts at several clubs in Paris and toured Europe. The Czech label Supraphon released a 7 inch 'I Should Care - Guess What' by The Lou Bennett Trio (Lou with guitarist PHILIPPE CATHERINE and drummer FRANCO MANZECCHI) in 1967. The same year Lou Bennett performed live at "Le Chat Qui Pêche" in Paris; in 1990 the Moon label issued the concert on a bootleg entitled 'Body And Soul - Johnny Griffin Quartet'. Actually this was a performance of the LOU BENNETT TRIO (with guitarist ANDRÉ CON- DOUANT and JOE NAY on drums), Johnny Griffin came to the club accidentally and joined the group. In 1972 Lou played on LEO WRIGHT´s album 'It's All Wright - Leo Wright Plays 12 All-Time-Hits' (MPS/BASF), recorded in February and March at Sono-Press Sudio in Berlin, with trumpeters MILO PAVLOVIC, CARMELL JONES, ROLF ERICSON and ACK VAN ROOYEN, trombonists ÅKE PERSSON, SLIDE HAMPTON, CHARLES ORIEUX and LOU BLACKBURN, pianist EUGEN CICERO, PIERRE LOUIS and INGO KRAMER (g), JEAN WARLAND (b), TONY INZALACO on drums and PETER LEWISON and DAI BOWEN on percussions. It was arranged and conducted by JERRY VAN ROOYEN, and produced by GÜNTER HENNE. From the session for Leo Wright´s 'It's All Wright', 1972 in Berlin, left pic: Eugen Cicero; right: Pierre Louis. From left: Tony Inzalaco, Ingo Kramer, Lou Bennett. In 1974 the Epic label issued 'Jazz On Epic - Lou Bennett' (unfortunately further information is not available yet). The same year 'Las Cosas Bien Hechas' was issued, another soundtrack composed by Lou Bennett (further information not available). Lou resumed touring: Germany, Italy, Scandinavia, Eastern Europe and Spain again, where he opened a club on the Costa Dorada in 1975. 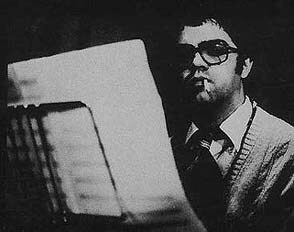 Lou Bennett and DANY DORIZ performed live at Caveau de la Huchette in Paris in February 1977, the recording 'Jazz À La Huchette' was issued in 1991 by EMI France and the Dutch label JTM. In the course of time, Lou got free from his first influences (Wild Bill Davis and Jimmy Smith) and acquired his own style, uncovering an opulence of harmony. His way of nuancing, his inimitable swing, due to the richness of his bass playing with the left foot, will make him a legend. From a live-concert in 1978 in Paris comes Lou´s album 'Live At Club Saint-Germain', issued in 1980 by Vogue, with ANDRÉ CONDOUANT on guitar and BILLY BROOKS on drums. 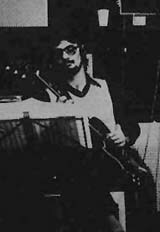 The Patchwork label released 'Lou Bennett Trio: Jazz' in 1979, which was recorded with MALO VALLOIS (g) and FRANÇOIS LAUDET (dr).